The annual Cartagena test saw Tarran Mackenzie make his debut on a full-fat BSB machine with the McAMS Yamaha team and the pint-sized 2016 British Supersport champion seemed to click with the R1 immediately. While some were worried that Mackenzie’s size might hamper him on a 220bhp beast, the 22-year-old looked at home from the early sessions and was able to post lap times within reach of his more experienced rivals. “It’s going a lot better than I expected,” he admitted. “I obviously expected to go alright this year but not so soon! It doesn’t mean too much when you look at lap times, it’s much more about feel, but for me as a rookie if I was five seconds off then maybe I’d be panicking a bit more. Compared to other riders, so far, I’m not looking too bad and I don’t want to jinx it and say it’s amazing, but so far so good! “It feels a bit like a big 600, it’s a lot faster but it’s not scary fast like I was expecting. It’s more about how you use that power. It’s all well and good saying it’s fast at the top end but it’s about how to learn to use that power compared to riding a 600. 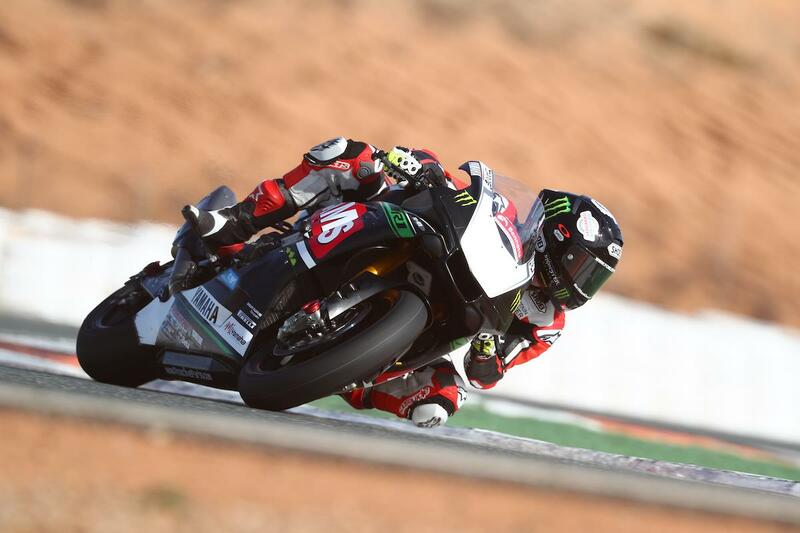 “I’m still getting used to using the rear brake out of a corner to stop wheelies too as I’ve never had to do that before. I learned pretty quickly that if you don’t use it the bike just takes off! My Moto2 experience helped quite a bit with the tyres and the brakes, so that’s been a benefit and I just want to focus on progressing.